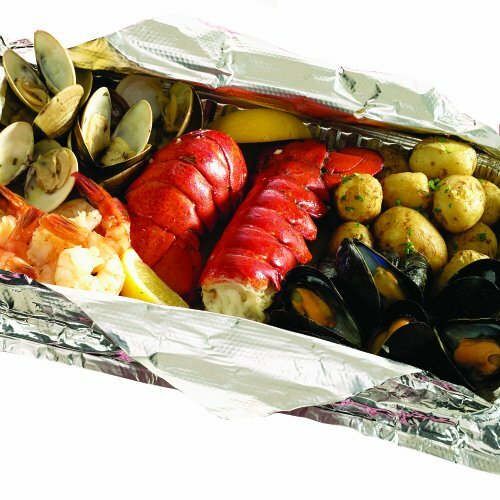 The Maine Clambake is another version of our popular dinner-in-a-bag concept. Each bag contains 2 lobster tails, 12 mussels, 12 clams, 8 shrimp, and 12 baby potatoes drenched in an herbed lemon butter sauce. Packaged in a large foil bag that can be cooked on the grill or in your oven, it's an easy dinner for two-we do the work for you.